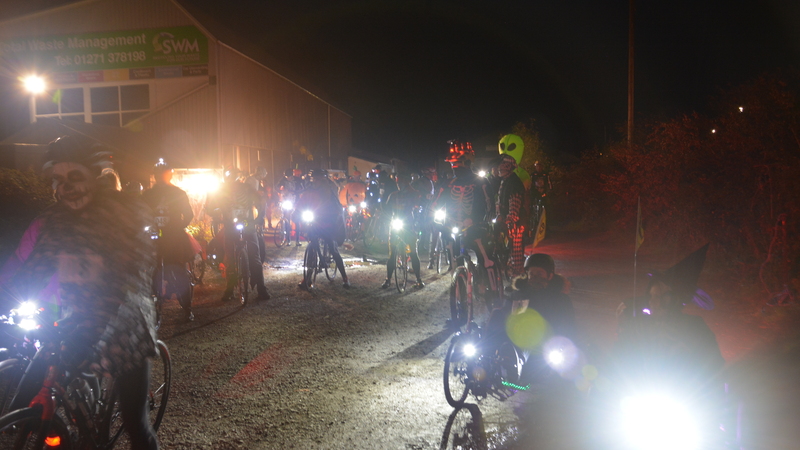 Some 250 cyclists took to the Tarka Trail on Saturday night in North Devon’s first ever Spooky Cycle event, raising a remarkable £20,000 for Calvert Trust Exmoor. 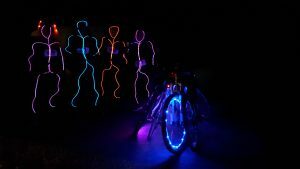 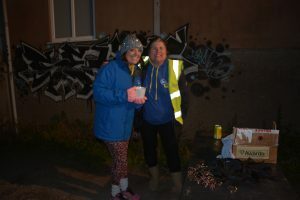 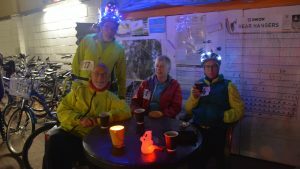 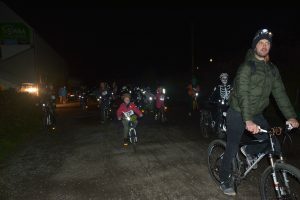 Eager participants braved the cold in an impressive array of weird and wonderful costumes to ride their illuminated bikes and really put the ‘fun’ into fundraising for the North Devon disability charity. 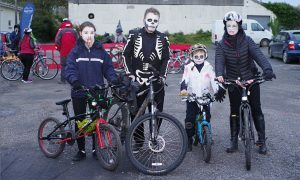 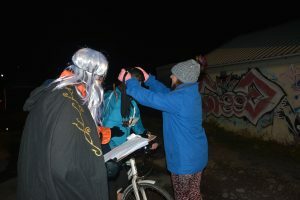 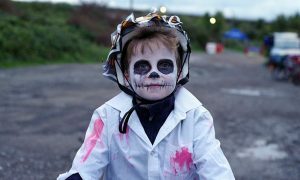 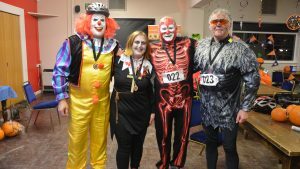 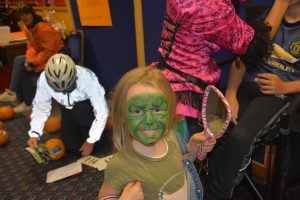 With two cycling routes to choose from, the Hallowe’en weekend event was aimed at all ages and abilities and offered a healthy alternative to trick-or-treating. 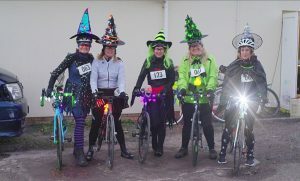 In total, 24 families, 25 teams and 45 individuals took part, with just over half electing to ride the 30-mile route to Torrington and back, and the remaining riders cycling the shorter route to Chivenor and back. 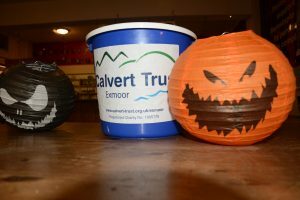 Entrants were requested to open a JustGiving page or seek sponsorship from friends and relatives to help raise much-needed funds for Calvert Trust Exmoor, with a prize going to the biggest fundraiser. 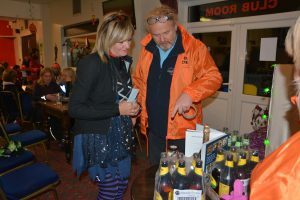 Event partner, Barnstaple Rugby Football Club supplied riders and non-riding supporters with hot food throughout the evening as well as a licensed bar. For those of us still clinging on to Summer, Tennacott Farm Dairy was serving luxury ice creams, and Plastic Free North Devon was on hand to top up riders’ bottles with their water bar. 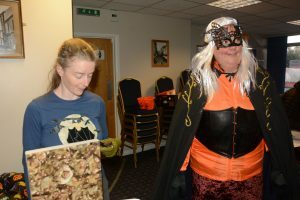 Local live acts The Velvet Onion, Give Way and Terry Bond provided musical entertainment alongside a range of stall holders, from Bubblekicks South West to North Devon Bat Care, amongst others. 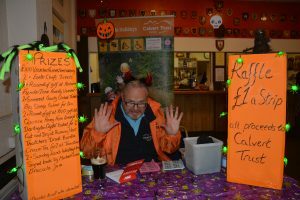 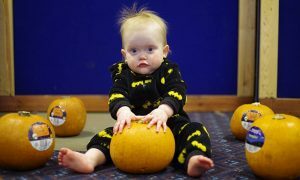 Party-goers also got to enjoy Hallowe’en themed family games, and enter a raffle with some truly fantastic prizes donated from the likes of Exeter Chiefs and celebrity chef Michael Caines. 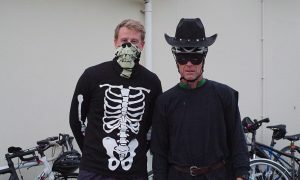 Prizes were also awarded by the organisers for best costume, best decorated ‘lid’, and most illuminated rider. 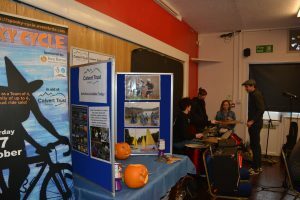 “Thank you for organising such a great event. 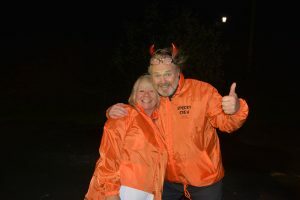 We thoroughly enjoyed the evening and would love to take part in other events you may be planning. 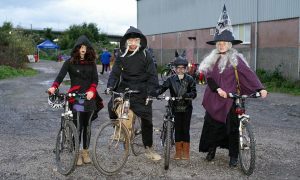 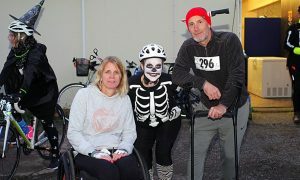 The children thought it was brilliant!” said Samantha Clark, one of the Spooky Cycle participants. 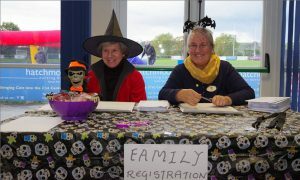 More than 50 volunteers, from ghost riders and marshals to games hosts and stall holders, donated their time to help ensure the event was a success, with particular help from local Rotarians who marshalled both routes. 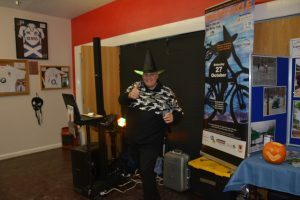 Hosted by the Calvert Trust Exmoor’s Fundraising team, the Spooky Cycle event was kindly sponsored by Isca Barum Insurance Brokers and The Big Lottery Fund, with support from Barnstaple Rugby Football Club and Devon County Council, as well as Nationwide Building Society, Lineal, and Jewsons Pottington Branch amongst others. 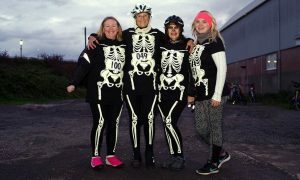 As well as promoting the Spooky Cycle in the weeks prior, official radio partner The Voice FM brought the event to life with their spooky music, compering, a pre-cycle warm-up and spooky entertainment on the start & finish line. 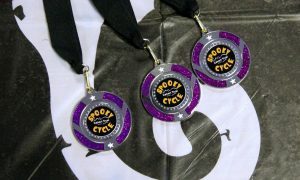 They also presented each and every rider with their Spooky Cycle medal as they crossed the finish line. 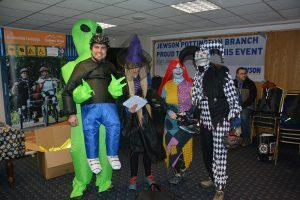 Isca Barum Insurance Brokers Ltd.